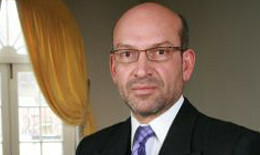 Mauricio Rodríguez has been the Colombian Ambassador to the U.K since 2009. Before his appointment he worked in the business sector, academia and journalism. Until 1994 Rodríguez held several directive positions, including one as the Financial Director at Dow Chemical in Colombia, Venezuela, the United States, Switzerland and Italy. He subsequently embarked on a career in journalism, becoming founder and publisher of Portafolio, a prominent Colombian financial newspaper. He also worked as a journalist for Caracol Radio, El Tiempo, El Espectador and Poder Magazine, amongst others. In addition, Mauricio Rodríguez has been President of CESA Business School as well as a Professor teaching Economics and Business. He is the author of a number of books on management, economics and leadership. He has served as a member of the Executive Committees and Boards of Directors of several organisations including El Tiempo newspaper, the Museum of Modern Art, La Fundación Santa Fe, ‘Colombia is Passion’ and the Silva House of Poetry.